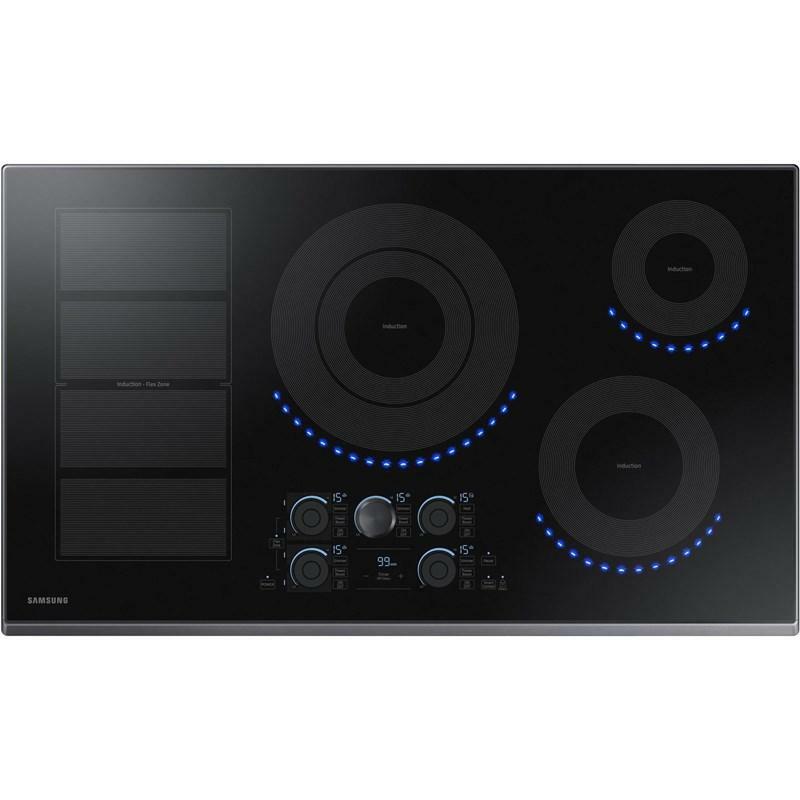 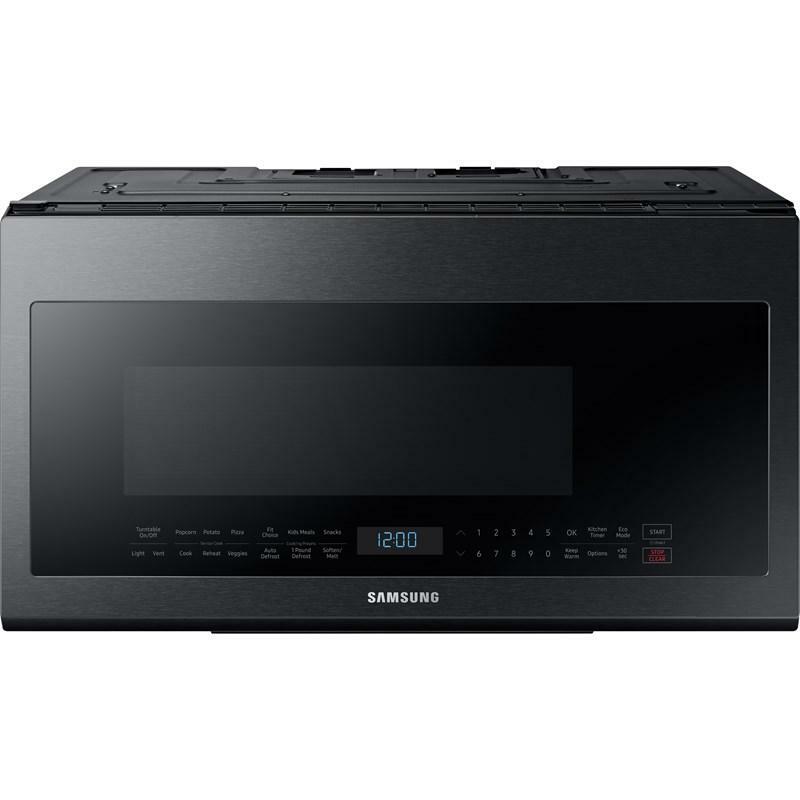 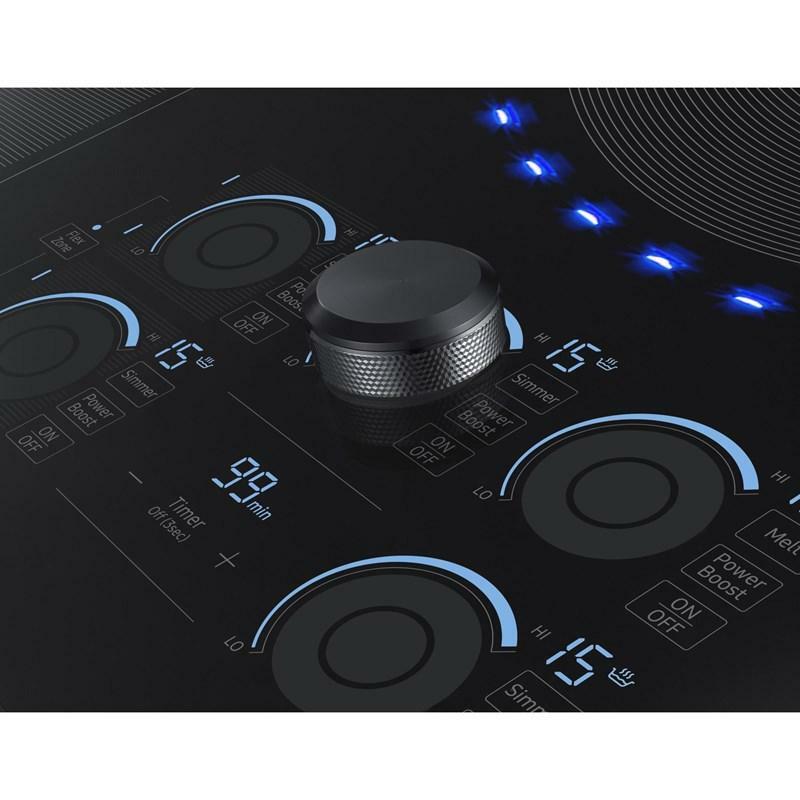 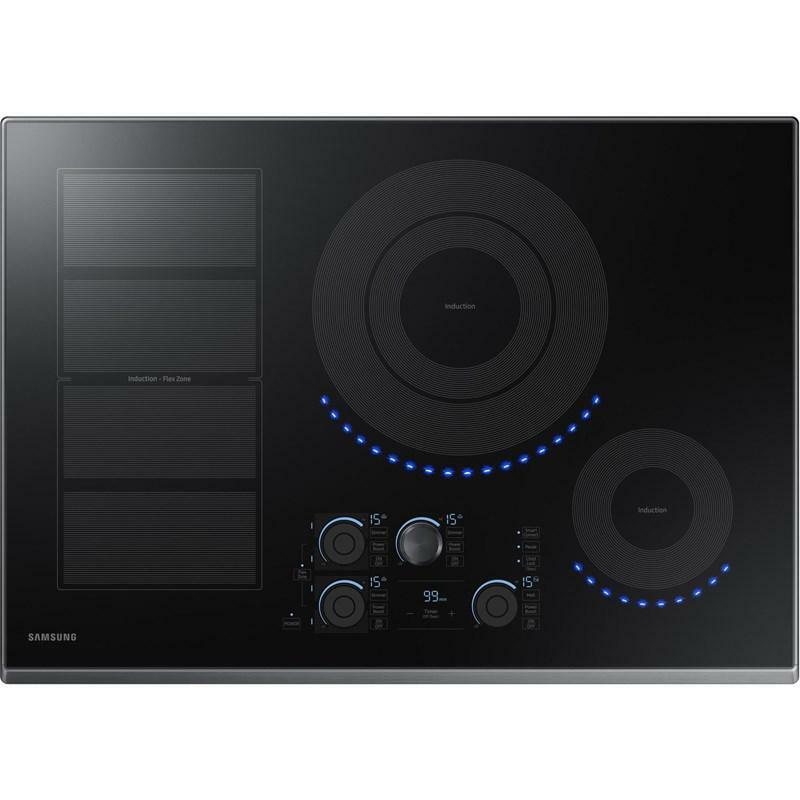 This Samsung 36" induction cooktop features 15 power levels plus booster, Wi-Fi connectivity, 5 induction elements and 2-stage residual heat indicators. 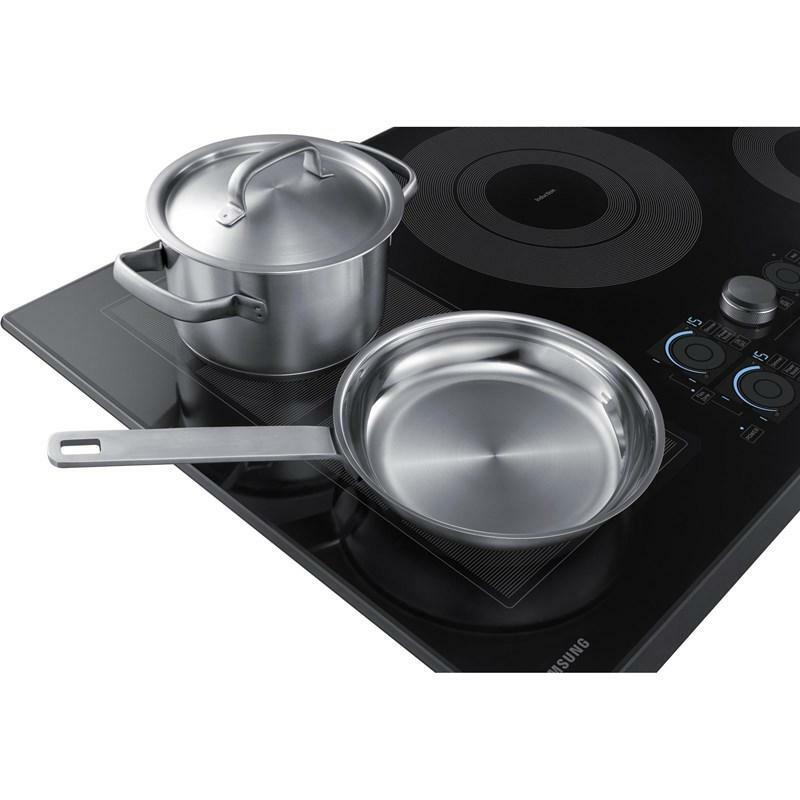 It also offers a large cooking area designed to adapt to different pot shapes and sizes for optimal flexibility. 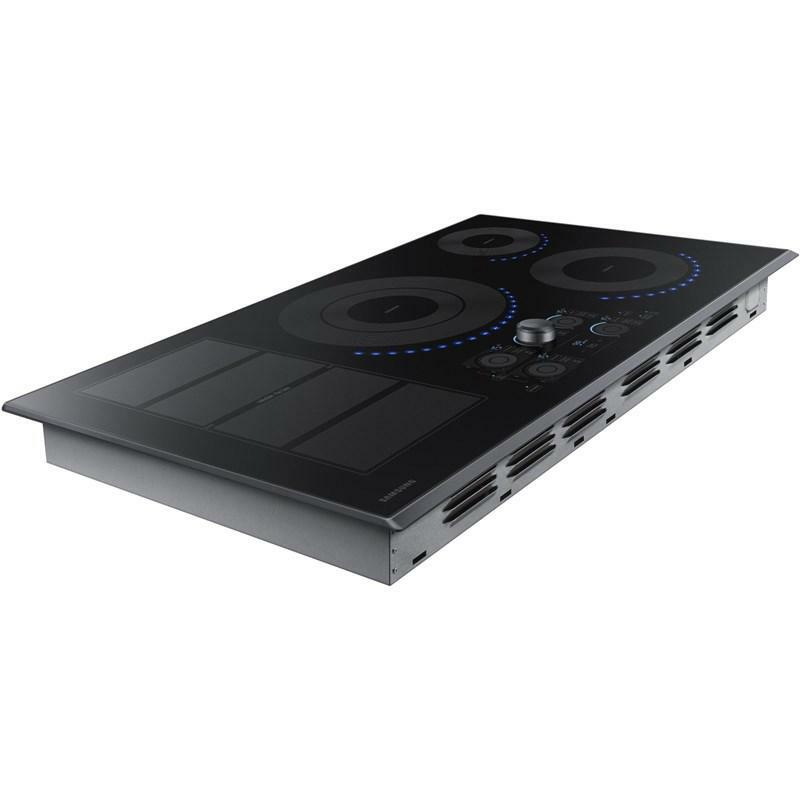 REMOTE & CONVENIENT COOKTOP MONITORING. 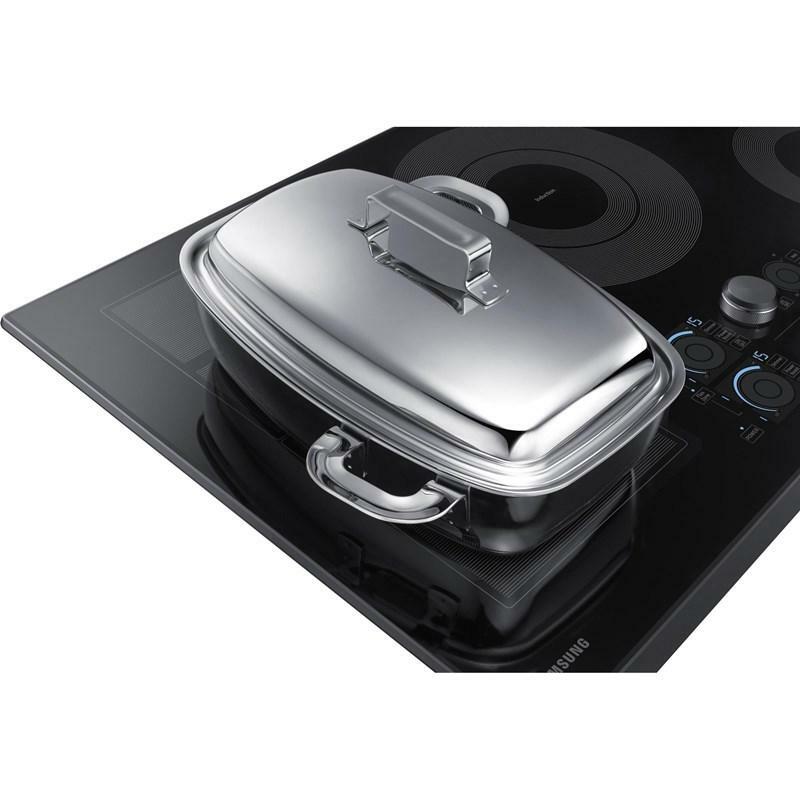 SIMMER & MELT FOOD WITHOUT BURNING. 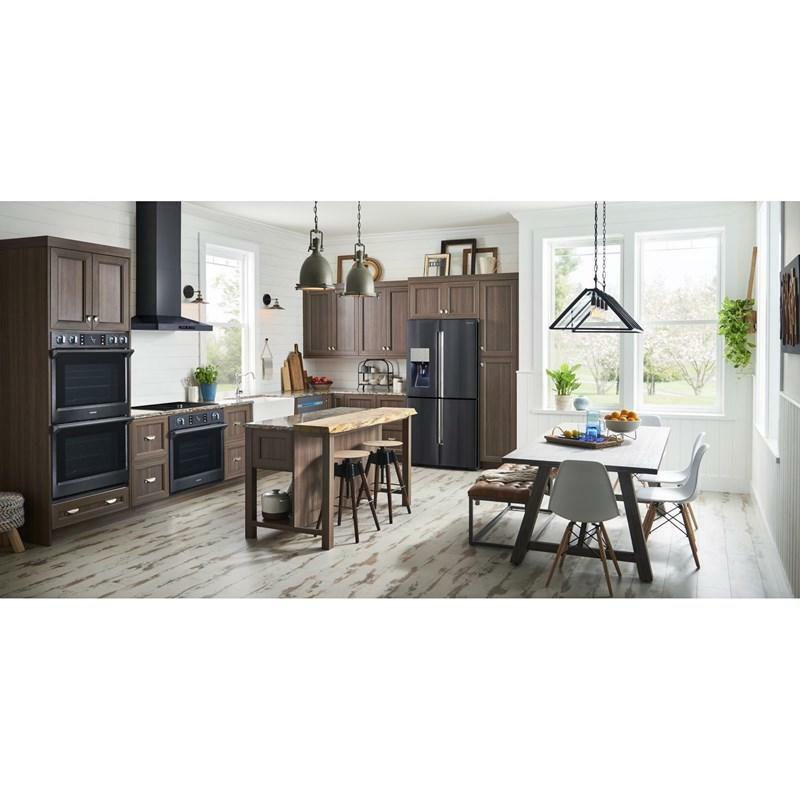 A Safety Shutoff provides peace of mind. 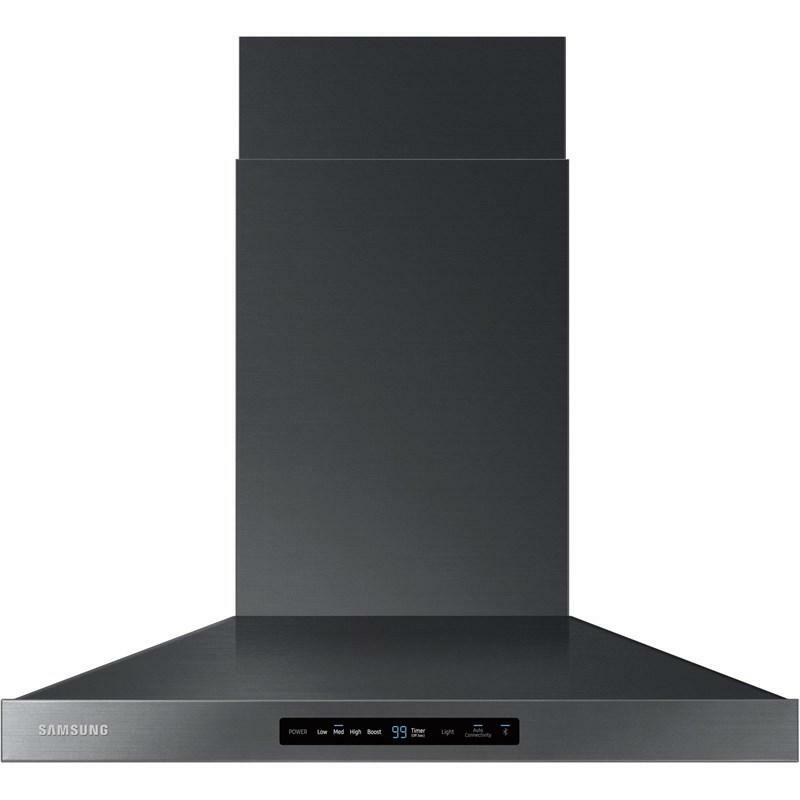 It automatically turns off any cooking zones if things have been left cooking on them for a long time or there’s no change in the operation after a certain period. 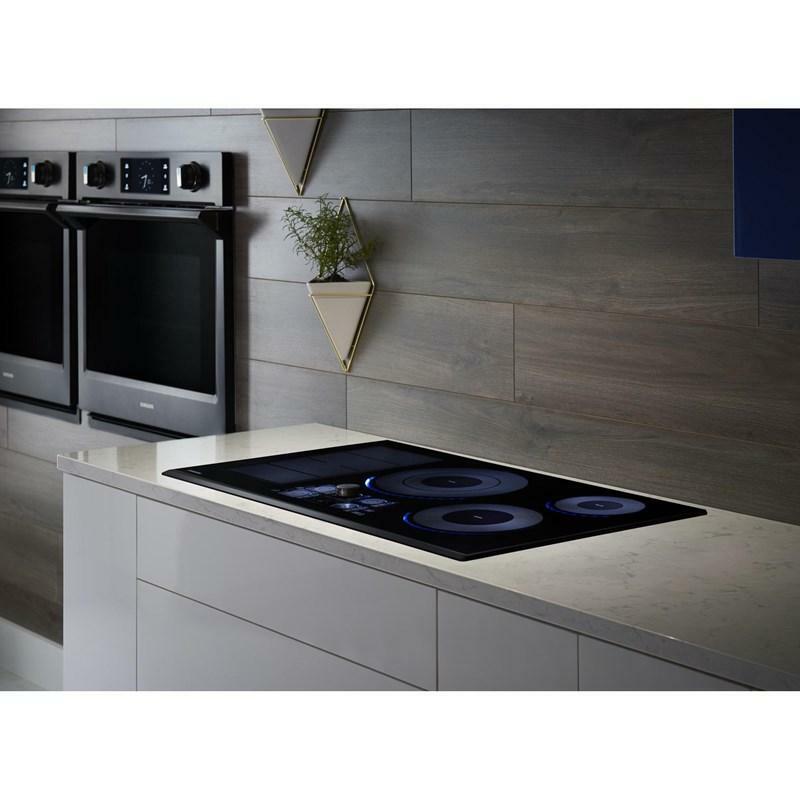 • Flex Zone 7 11/16" x 15 3/4"
Additional Dimensions • Outside Product Dimensions (WxHxD): 36" x 4" x 21 1/4"
• Cooktop Cutout Dimensions: 33 3/4" x 4" x 19"
• Shipping Dimensions (WxHxD): 40 1/6" x 75/16" x 25"
Samsung 30" freestanding electric range with true convection. 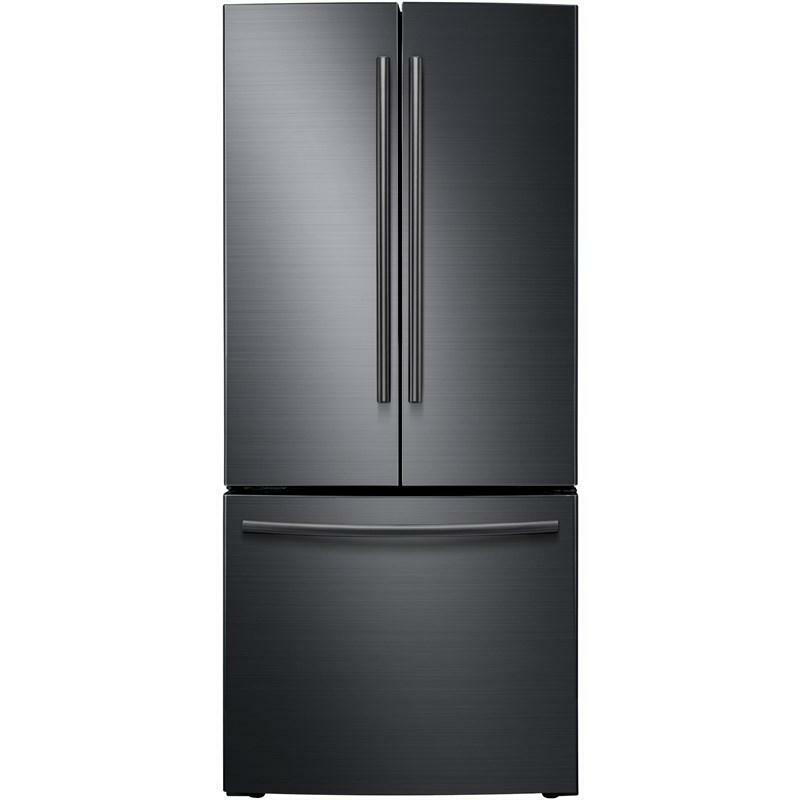 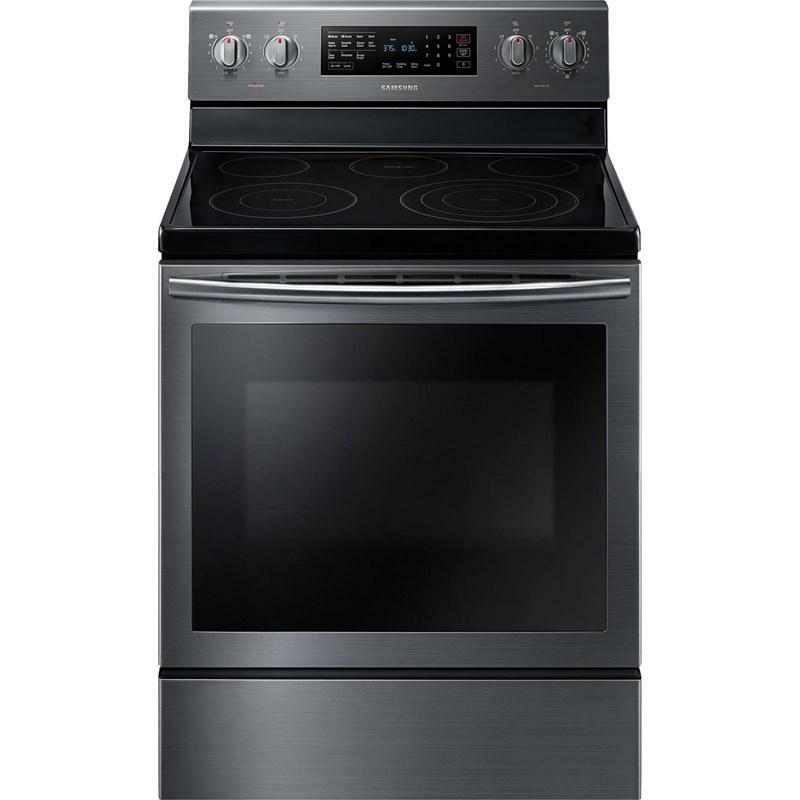 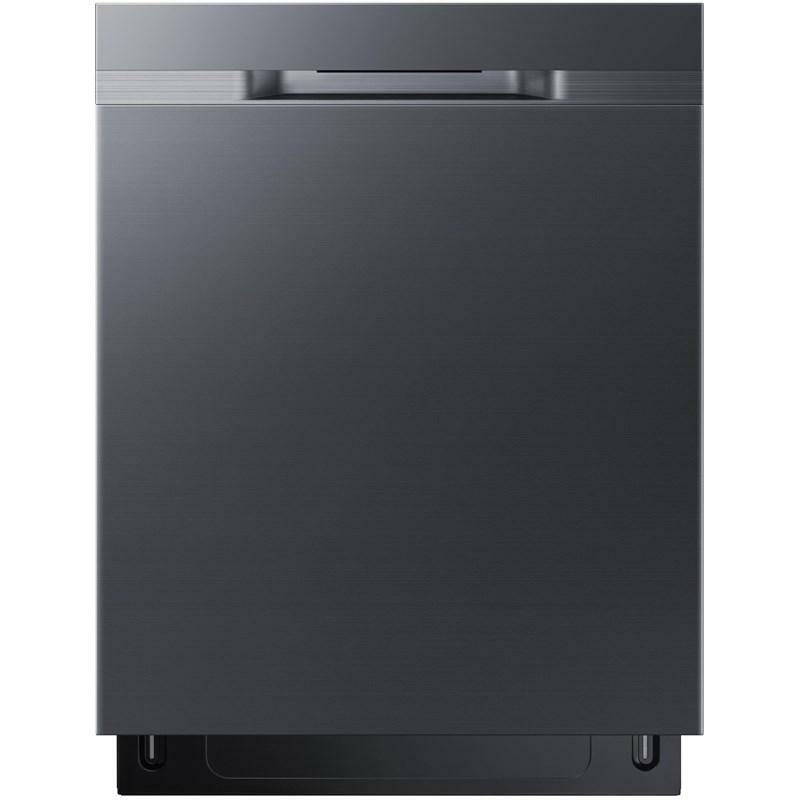 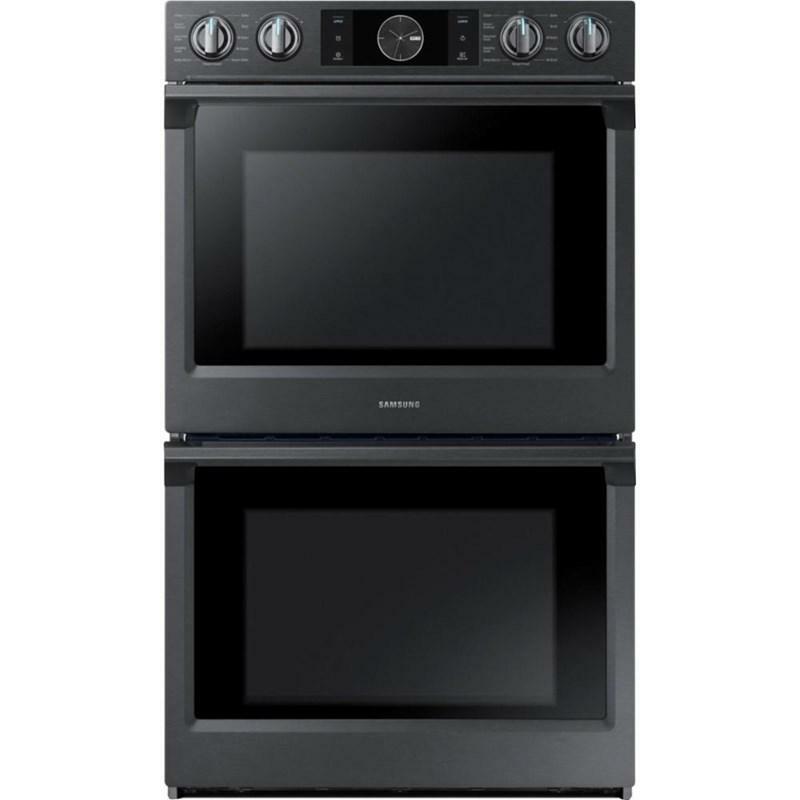 This range features a large 5.9 cu.ft. 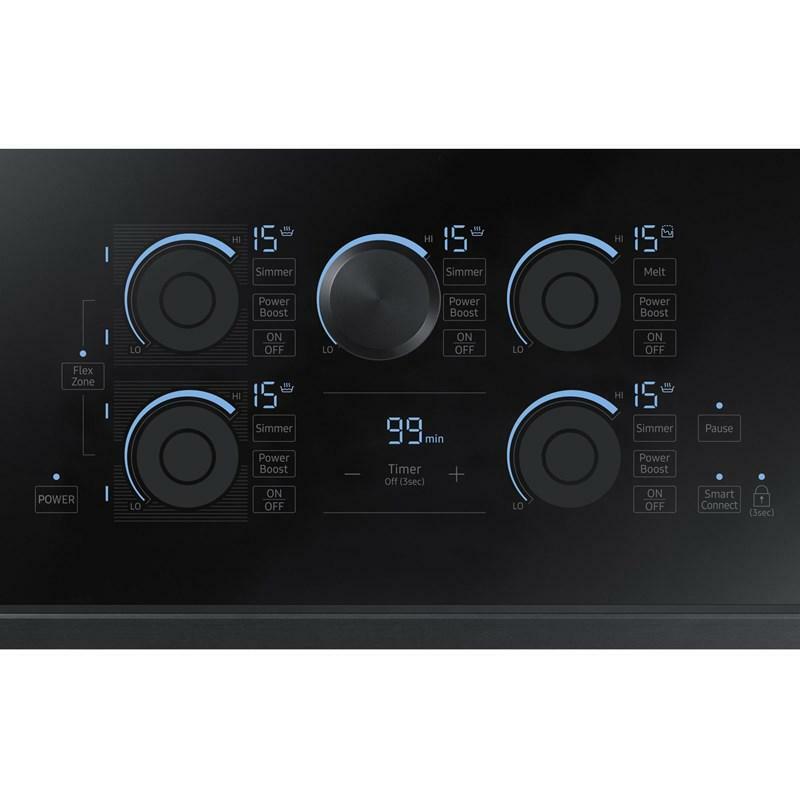 oven capacity, 5 elements, delay cook timer and child lock.